Indian badminton doubles ace Nandagopal Kidambi continues his brilliant form in the domestic circuit as he scooped up his second title in as many weeks. 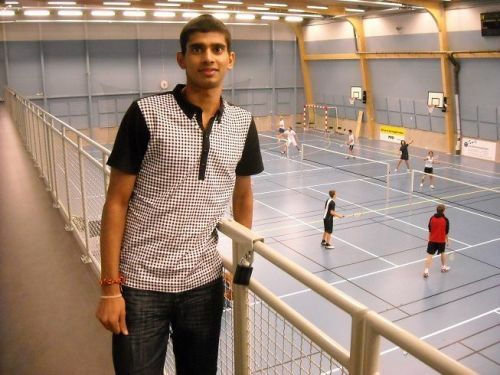 A week after being crowned the men’s doubles champion alongside Tarun Kona at the All India Senior Ranking Badminton Tournament in Guntur, Nandagopal got to lay his hands on yet another trophy at another All India Senior Ranking tournament that concluded in Bangalore on Sunday. This time, the title was in the mixed doubles section where Mahima Aggarwal was his partner. The two, who were unseeded, did not have it easy against fellow unseeded combine of Shlok Ramchandran and Arundhati Pantawane, who eventually retired in the decider, letting the former win 11-21, 21-13, 12-3. Nandagopal and Mahima have been playing regularly from the start of the year and they have recently begun to do well in international tournaments. The two went on to win the Kharkiv International in September after finishing runners-up at the Malaysia International in July. That has catapulted them to the 105th position in the world rankings. In men’s singles, the unseeded Kiran George finally got to taste victory in a final after losing to Pratul Joshi a week before. This time, he held his nerves for a thrilling 15-21, 21-19, 21-19 comeback victory over the fourth seeded Harshit Aggarwal. Just like the last tournament, this time too he turned out to be a giant-killer. George accounted for the 15th seed Neeraj Vashisth in the first round, the third seed Bodhit Joshi in the third round and the top seed Daniel S Farid in the semi-finals. In women’s singles, the sixth seeded Neha Pandit staved off a huge challenge from the 16th seeded Vrushali G for a 21-18, 15-21, 21-19 win. Much like Nandagopal, Sruthi KP also tasted glory in two consecutive weeks. She won the women’s doubles title in partnership with Purnima Devi after the third seeded duo of Haritha MH and Anura Prabhudesai gave a walkover in the final. A week earlier, Sruthi had captured the women’s doubles title alongside the veteran Aparna Balan. The men’s doubles title went to the top seeds Arun George and Sanyam Shukla, who rebounded from a second-game loss to prevail 21-14, 12-21, 21-14 over the fourth seeds Chaitanya Reddy K and Hemanagendra Babu. All India Senior Ranking Badminton Tournament Nandagopal K.